Bridge the gap between theoretical education and practical work experience with this hands-on guide to GNSS, which features: · A clear, practical presentation of GNSS theory, with emphasis on GPS and GLONASS · All the essential theory behind software receivers and signal simulators · Key applications in navigation and geophysics, including INS aiding, scintillation monitoring, earthquake studies and more · Physical explanations of various important phenomena, including the similarity of code delay and phase advance of GNSS signals, and negative cross-correlation between scintillation intensity and phase variations. Whether you are a practising engineer, a researcher or a student, you will gain a wealth of insights from the authors' 25 years of experience. 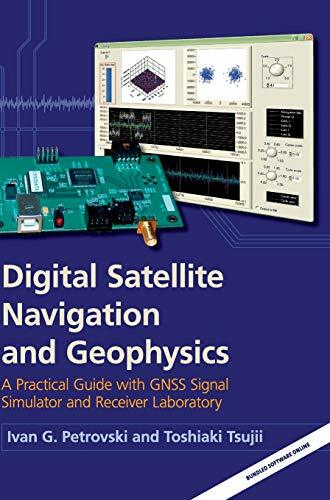 You can explore numerous practical examples and case studies and get hands-on user experience with a bundled real-time software receiver, signal simulator and a set of signal data, enabling you to create your own GNSS lab for research or study. Link your theoretical education to practical work experience with this hands-on guide to GNSS receiver technology, which includes numerous real-world examples, case studies and exercises. Also provided is a real-time software receiver and signal simulator, enabling you to create your own GNSS lab for research or study. Ivan G. Petrovski leads GNSS applications development at iP-Solutions, Japan. He has been involved in the GNSS field for more than 25 years. Prior to working at iP-Solutions, he held the positions of associate professor with Moscow Aviation Institute (MAI), Japan Science and Technology Agency (STA) Fellow with Japan National Aerospace Laboratory (NAL), directed the Institute of Advanced Satellite Positioning at Tokyo University of Marine Science and Technology (TUMST), and led GNSS-related R and D for DX Antenna and GNSS Technologies Inc. He received his PhD in aerospace navigation from MAI in 1993. Tsujii, Toshiaki, Petrovski, Ivan G.